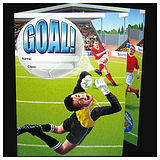 These fantastic football stickers are great for rewarding and motivating young football fans. they can be worn on jumpers or kept on reward charts or bookmarks. 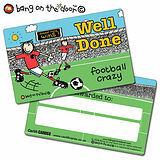 A mixture of positive praise wordings have been selected for these football themed stickers. Each sticker is 37mm and designed to appeal to your young football fans.